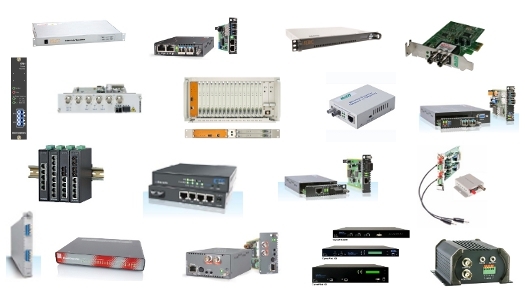 We offer a broad range of network solutions including: Fibre Optic Converters, Interfaces & Modems, Ethernet, DSL, Multiplexers, Inverse Multiplexers, Interface Converters, Media Converters, CWDM, DWDM, Industrial Ethernet Solutions (Managed & Unmanaged), PoE, Optical Modules, Carrier Ethernet Services, Ethernet Switches, G.703 E1/T1, Telephony, ISDN, Network Interface Cards, TDM over IP, Power Management, Multi Service Access Nodes (MSAN's), High-Performance Broadband over Copper, G.SHDSL, SDH, PDH, Encryption Devices, Optical Monitoring, Data Diodes, Video over Fibre, KVM, Virtual Private Networks, Cables and Accessories. For example the FRM220 range are a family of fibre optic converters, modems and line drivers. Successfully providing transmission across fibre networks for Carriers, Enterprises and Governments alike in locations all around the globe. Carrier class by design the FRM220 enables the integration of a wide variety of interfaces including 10/100, Gigabit and 10Gig Ethernet as well as SDH, E1 / T1, serial data, ISDN Bri and analog voice. The FRM220 can be used as a C / DWDM transponder platform providing wavelength services in FTTx environments. Multi to singlemode and single fibre solutions can also be achieved. All converters in the FRM220 family are cards that can be housed in a variety of enclosures, from single slot to larger rackmount chassis. The FRM220 family are designed for 'high availability' networks. All cards are 'hot swappable', dual power supplies (both AC and DC) can be deployed, OAM protocols can be utilised to ensure even the remotest of devices can be managed and standards based SNMP can be used to help you react quickly to anomolies when they occur. Take a look at our overall portfolio by browsing our website. You can use this drop-down menu, our 'Explore the Product Range' menu on the left or simply use our 'search' feature on the right-hand menu which you'll find on each page.